A rustic wedding in a bucolic setting at the Vignoble La Bauge in the Eastern Townships! Le Vignoble La Bauge will offer you a splendid environment, both rustic and romantic. The nearby villages offer amount of hotels and inns where you can stay and spoil your guests. Le Vignoble La Bauge has a French barn roof that will give character to your event. Carefully renovated in 2008, we added a large stage and a bar. We can accommodate 50 to 160 people groups in a cozy atmosphere. 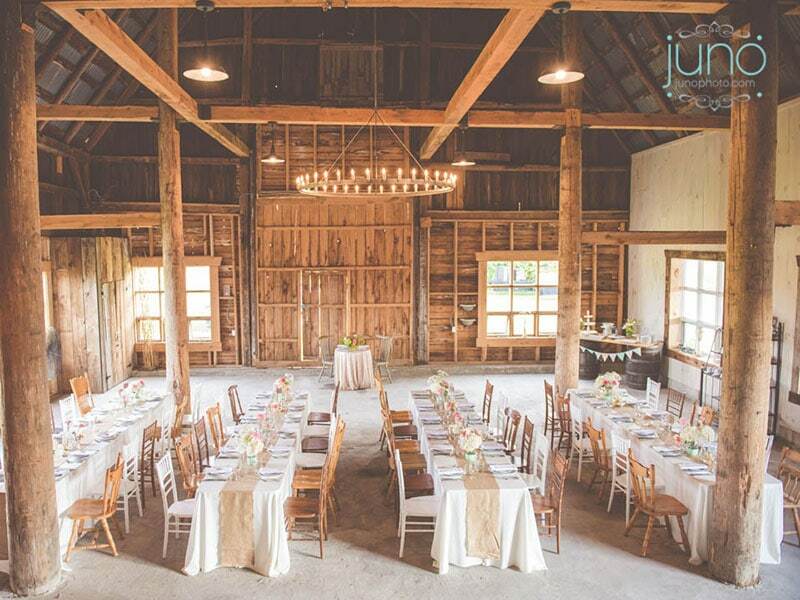 A rustic wedding to meet your expectations in the Eastern Townships! For a visit, book now at www.labauge.com. The team of Vignoble La Bauge offer you support in your preparations while allowing you the freedom to make your rustic wedding, a party that suits you. We have several options for decoration and food, we adapt to your tastes and your budget. Le Vignoble La Bauge, located in the Eastern Townships, is an ideal location an hour from Montreal. Set in the picturesque village of Brigham, the area offers many activities and services to make you spend unforgettable moments. A rustic wedding can not take place without the traditional taking of photographs. Le Vignoble La Bauge has a large area where places to take pictures of the newlyweds and their guests abound. You will discover our vineyard, our animal park, apple trees and flower beds. For a tour, visit www.labauge.com. Le Vignoble La Bauge is the picturesque and romantic site you are looking for your rustic wedding! come visit us now at www.labauge.com.